Miss Universe 2015 Pia Wurtzbach will make history this year as the first Filipino celebrity to have a wax figure in Madame Tussauds Hong Kong. Pia visited the wax museum on Sunday, February 17, and had her photos taken with celebrity wax figures. A big fan of Super Junior since 2009 and a true ELF, the 29-year-old beauty queen-actress posed beside her favorite K-pop boy band member, Siwon. Writing on Instagram, she said, "This is for the ultimate kilig moment for all K-Pop fans! [smiley emoji] swipe left for more! "P.S. can you guess what my wax figure's pose will be? 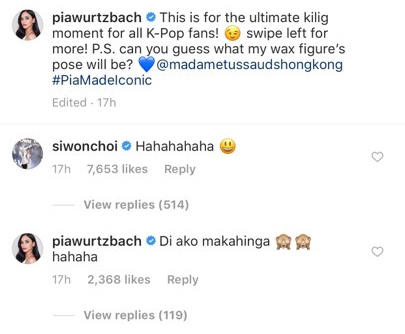 [blue heart emoji] @madametussaudshongkong #PiaMadeIconic"
Siwon reacted and left a comment on Pia's post writing, "Hahahahaha [smiling emoji]"
Although Pia did not directly reply to Siwon's comment, the Kapamilya host gushed, "Di ako makahinga [monkey emojis] hahaha." 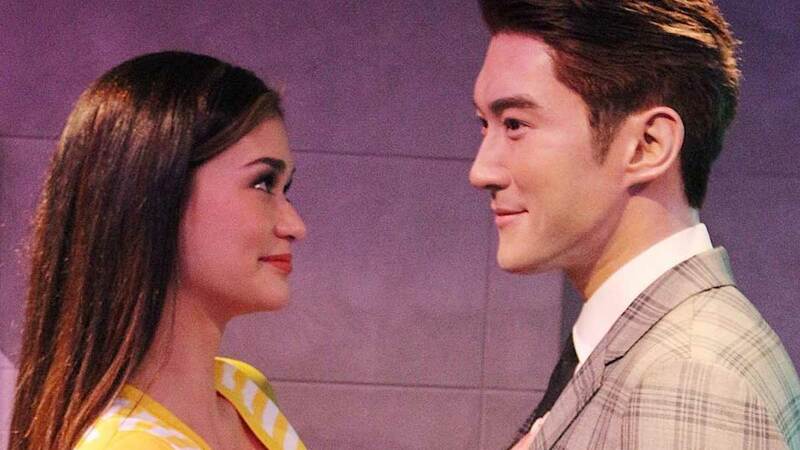 Aside from Siwon, Pia also took pictures with the wax figures of Kendall Jenner, Lady Gaga, Madonna, Audrey Hepburn, and David Beckham, among many others. In another Instagram post, the former beauty queen exclaimed, "Never been this star struck all my life! Having such a great time here in @madametussaudshongkong! "Come join me in my tour by swiping left! Help me caption each and use the hashtag #PiaMadeIconic so I can see your posts! [blue heart emoji]"
On June 30, 2018, Pia finally met her idol at the Super Junior World Tour Super Show 7 at the SM Mall of Asia Arena.